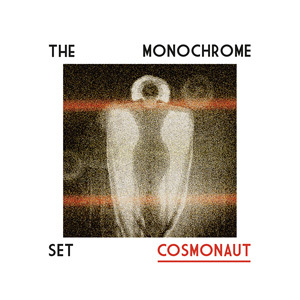 ALBUM REVIEW: THE MONOCHROME SET, "Cosmonaut"
The long and storied career of The Monochrome Set, which first began in 1978 has been rejuvenated/reactivated several times, most recently in 2010 and have been releasing new music since – which leads us to the latest, Cosmonaut. There’s never been an accurate description (or really, pigeon-holing) for their sound, although rather than label them, I’d look at them as artistic contemporaries of Wire, The Fall and so on). Sometimes New Wave, sometimes neo-psychedelic, sometimes moody and abstract, The Monochrome Set have always simply defied terms. This thirteenth album opens with an eerie theramin intro to the title track, with a very ’60’s soundtrack throttle and familiar Rickenbacker 12-string riff; “Suddenly, Last Autumn” has – again – a very ’60’s feel (think “Secret Agent Man”) with roller-rink organ punches, “Squirrel In A Hat” is very Stranglers-like – quasi-psychedelic with its organ and jazzy guitar and “Put It On The Altar” is a mix of pop and soulfulness, with female backing vocals and has “radio friendly” written all over it. “Tigress” has a lazy, summery feel about it, exuding warmth and charm, including the very Saucerful Of Secrets/Rick Wright-styled organ break, “Stick Your Hand Up If You’re Louche” is a turn in style, being more a Tex-Mex/punchy and American-sounding piece with a very rockabilly riff and”Kingfisher Blue” is another rockabilly-driver with crisp guitar fills. Ten tracks that paint vivid and sometimes obtuse but completely intriguing word pictures; music that excites and captivates – the markings of a quality release. What makes it even better to know is that it comes from a band who has been around more than long enough to forget how it’s done. And rest assured, The Monochrome Set haven’t forgotten. P.S. In lieu of a brand-new video, here’s their (probably) most well-known track (at least, it was the one that introduced me to them), “He’s Frank”, circa 1979.